Jason Kenny is one of Britain’s most successful Olympians, with six gold medals for track cycling from the Games in Beijing, London and Rio de Janeiro. His romance and marriage to Laura Trott, herself a multiple Olympic cycling champion, thrust Jason further into the media spotlight and, ahead of what turned out to be a successful Games at Rio 2016, put him under immense pressure to perform in front of an expectant public. After winning three golds in Brazil, Jason promptly took a step back from cycling and hasn’t raced since. He’s had plenty to occupy his time, though, including preparations for the arrival of his first child, a visit to the British Formula 1 Grand Prix and, at the end of this month, a return to motorsport behind the wheel. 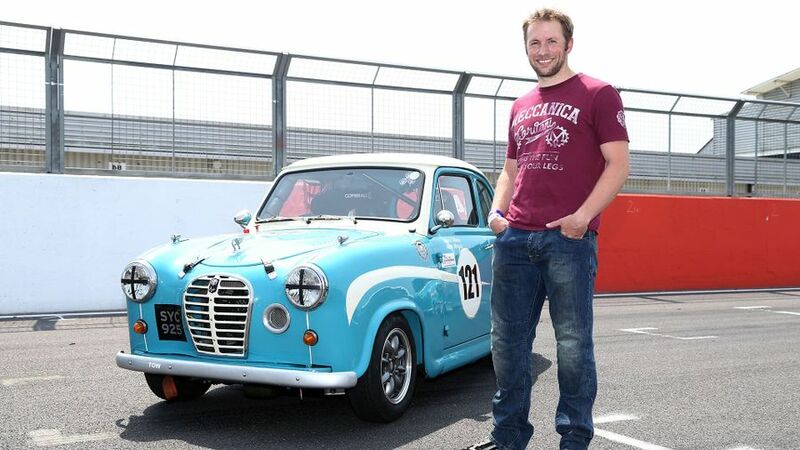 After dabbling in competitive driving in recent years, including a season of Ginetta racing and several outings in a Radical sportscar, he’ll line up on a grid of ageing Austin A30s and A35s at the Silverstone Classic meeting on July 30, racing against fellow celebrities. Jason’s driving enthusiasm kicked in almost a decade ago, when a friend persuaded him to take his Peugeot 309 GTI to a track day. “I caught the bug and it went from there,” he says. “A few years ago, I bought myself a track car, a Ginetta G20, and realised that it was eligible for its own race series and thought ‘why not?’, so just went for it, really. 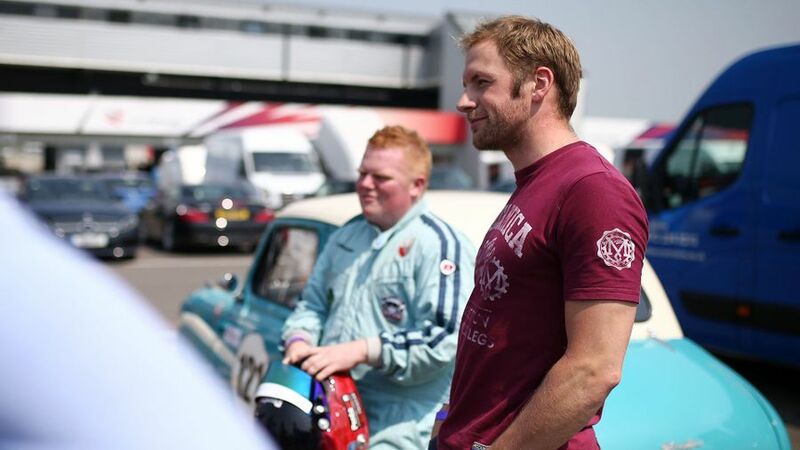 At the Silverstone Classic, Jason will race against celebrities including fellow Olympians Amy Williams and Greg and Jonny Searle, as well as racing driver Tiff Needell, businessman Theo Paphitis, boxer Carl Froch and AC/DC singer Brian Johnson. 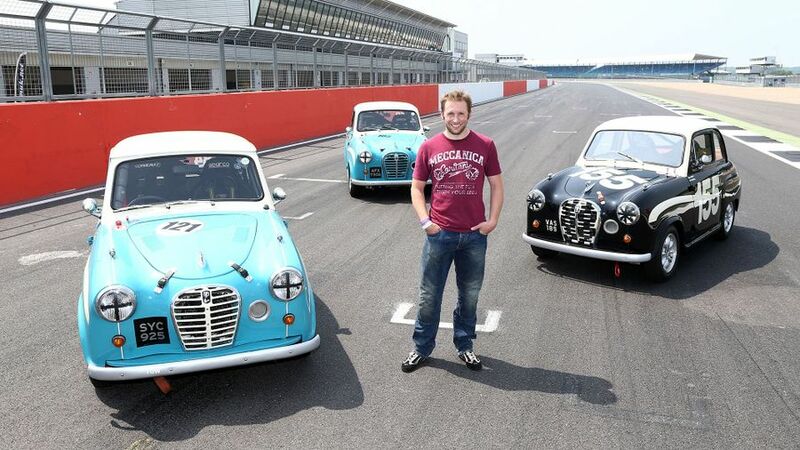 The celebs have already had a practice session to get to grips with the little 1950s Austins. “There are lots of differences to the Radical, with no grippy tyres or downforce, and I expected some wallowy, horrible-to-drive machine,” Jason says, “but in actual fact all the principles are the same, although you get to the corner 60mph slower. The race at Silverstone follows a trip to the British Grand Prix earlier this month, where Jason and his wife were guests of Red Bull Racing. It was a fun day, Jason says, despite Laura’s general apathy towards his motorsport endeavours. Although he expected to retire from competition after Rio, the break from cycling has actually helped to renew Jason’s love of the sport, and he’s now planning a return to the Olympic squad. Watching Red Bull drivers Daniel Ricciardo and Max Verstappen race at Silverstone was an example of how his competitive spirit has been rekindled. “Those boys are effectively where we are in cycling,” he says. “They’re looking for those tiny, tiny fractions at the absolute pinnacle. It’s awesome to watch and see the way they go through it, and how they prepare for the race. But, time away from compulsory training removed the pressure, and meant that, when Jason did ride his bike, the passion returned. The goal now is to get back in the British team for the 2020 Olympics in Tokyo, but Jason realises that there’s plenty of work to do to prove himself once again. Training to Olympic standards is difficult at the best of times, and Jason is under no illusion that to do so with a baby will be even harder. But he’s optimistic. “It’s a massive undertaking and I don’t know what to expect until the baby arrives. We’re obsessive about sleep and nutrition and training at certain times of the day, so to put an unpredictable baby into that is complete madness. I would never have thought that it was possible to do the two, to be a dad and be as good as I was. The new addition will also mean family trips will be undertaken in Laura’s car, as Jason doesn’t have a car; he has a Ford Transit van. “I love my van,” he says. “It occurred to me a few years ago that I never, ever used my back seats, and they spent the whole time folded flat for bikes and stuff. In the end, I thought, ‘I don’t have that many friends, I’ll just get a van’, and it’s brilliant, I can just chuck whatever I like in the back.